So Lonely in Gorgeous: Come Take A Look At What's in My Make-Up Bag! Blog Hop is at it again! And this time, it's a make-up content themed hop and I love it!!!!! Shu Uemura Hard Formula Eyebrow Pencil in Seal Brown. my brow's can't live without it! Mac Eye Pencil in Coffee. Love tightlining with it. Giorgio Armani Brown Defining Pencil in #3. Great on the brows and under the lashline. Mac Lip Pencil in Stripdown. Never without it! BareMinerals Well-rested Eye Brightener. Love it! Mac Mineralize Skinfinish Natural in Medium. A fav pressed powder. Smashbox Photo Op Under Eye Brightener. This really makes a world of difference. Nars blush in Douceur. One of my favorite blushes! Bobbi Brown Corrector in Peach. who knew you could put magic in a little plastic container. Diorshow Mascara. I will always repurchase. Laura Mercier Full Blown Volume Mascara. Laura can do no wrong in my book. Nars Smudge Proof Eyeshadow Base. My favorite eye shadow base! Primer potion who? Carmex Moisture Plus and John Masters Organics Lip Calm. my Two favorite Lip Balms and I am never without them. Nars Sheer Glow Foundation. One of my staple foundations. Smashbox Photo Finish Foundation Primer. One of my favorite face primers. Chanel White Essentiel Base De Teint Whitening Modeling Effect Base Spf 30/PA+++. This is an Asian exclusive and a great face primer when my skin is looking a bit tired. My Tweezers! I can't leave my apartment without a pair of tweezers, and trust me...they ALWAYS come handy :D I swear, as long as I have a pair of tweezers with me, I'm like Macgyver! I'm excited to see what everyone has in their make-up bags! 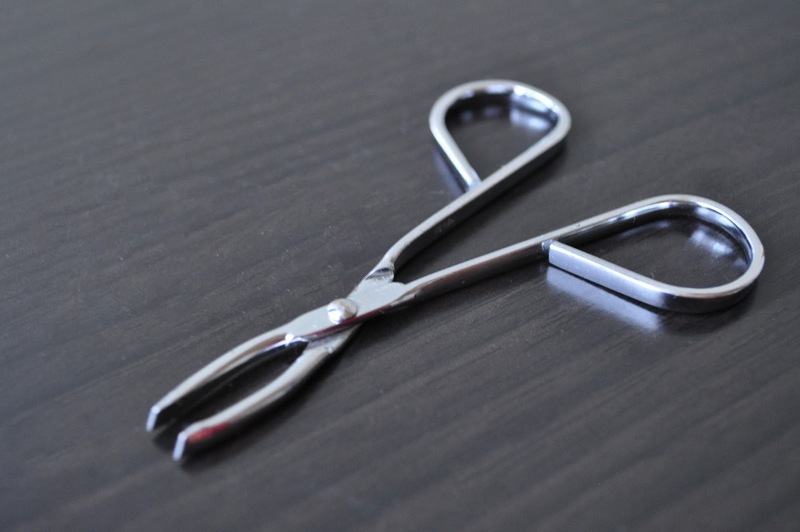 I agree with you - never leave home without a pair of tweezers - so many uses of them! Great post and thank you for sharing! Yeah, I can't leave my apartment without a pair! Those look like some really awesome products! Hi doll! I have joined you too! Eeeeeee, im excited because I LOVE your blog!!! Well much love & check out my page!! I love the Bobbi Brown corrector for my under eye dark circles! Nice blog! Love love your makeup bag!! Love your blog! Found you through the blog hop - great post! 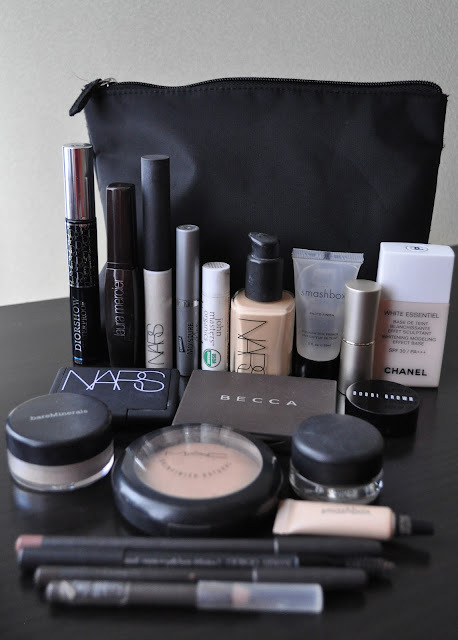 Oh my goodness your makeup bag contents had me drooling. I found your blog through the blog hop and I'm glad I did. Cool item MacGyver!! I need some tweezers in mine! LOL!